Conquering your fear when attempting to surf huge waves can be a challenge. In the upcoming October issue of the Red Bulletin, world team surfing champion Justine Dupont credits freediving for her ability to face down the biggest waves without fear. Training twice a week, Dupont can now regularly knock off 60-foot/18-meter-deep dives and spend over four minutes underwater. Such training has allowed her to tackle big-wave surfing, and place second in last year’s Big Wave World Championships. In the Red Bulletin, she explains why freediving is her way of demystifying the sheer size of the waves. Any trip Justine Dupont makes to the diving tower at La Teste-de-Buch near Bordeaux is a return to a bizarre world, a stark contrast to a big-wave surfer’s regular life; a still, peaceful parallel universe in which the churn and violence of the surface are left far behind. Dupont has been practicing freediving twice a week for two years to learn how to react as calmly as possible should something happen while she’s in the water. 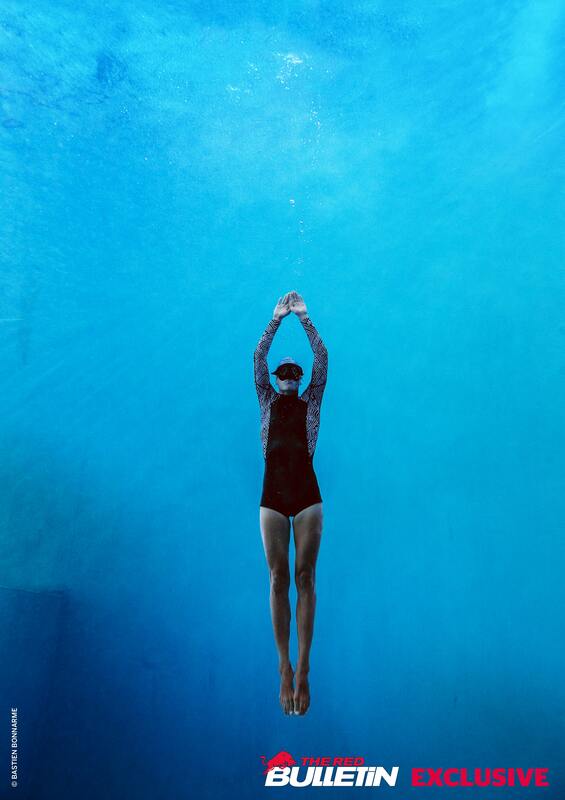 She goes to the diving pool at La Teste-de-Buch as often as she can. 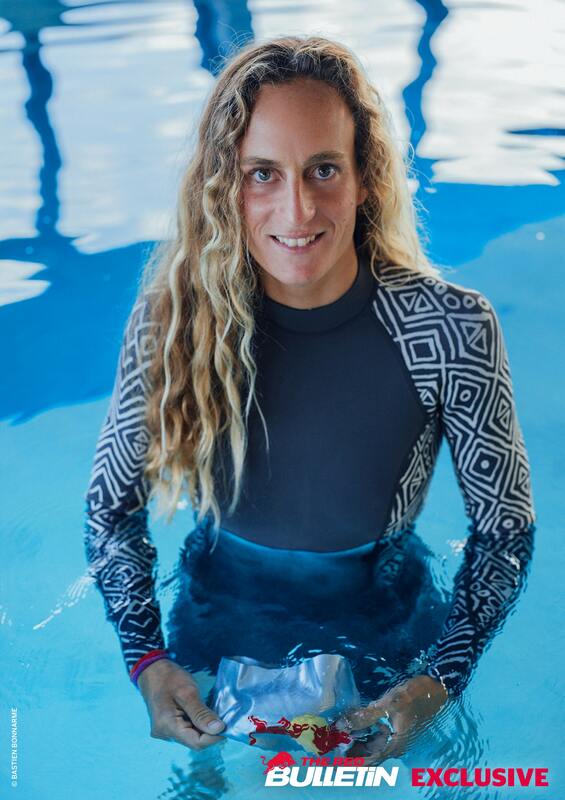 Her trainer, Laurent Gamundi — an expertin freediving and underwater hunting, whose club, Biarritz Chasse Océan, hasa diving course for surfers — watches over her while she’s there. Read the full interview at RedBull.com and in the October issue of The Red Bulletin — on newsstands beginning September 19th.